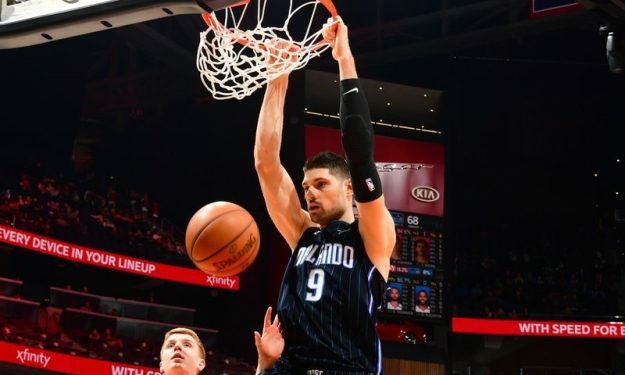 Ahead of his first NBA All-Star Game, Nikola Vucevic put on a dominating performance for the Orlando Magic. The Orlando Magic easily beat the Atlanta Hawks at the State Farm Arena. Seven players scored in double-digits and Nikola Vucevic led the bunch with 19 points. He recently got the All-Star nod and showcased his all-around shooting touch making 8/13 from the field on Sunday. The 28-year-old Montenegrin center also grabbed 12 rebounds en route for his 39th double-double of the 2018-19 NBA Regular Season. “We really played well. We took the lead and never looked back” he said after the match summing up his team’s performance.